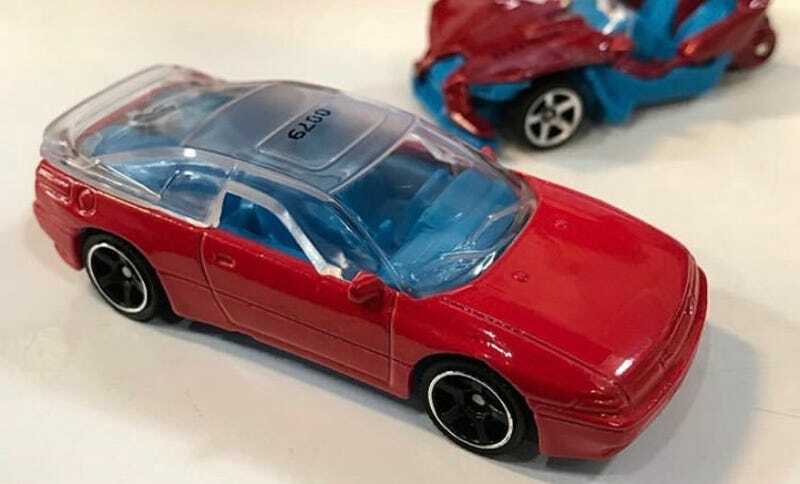 Matchbox is fueling the #JDMhype fire with this teaser shot of their upcoming Subaru SVX. An unsung hero of 90's kids who idolize Japanese cars, the SVX was once the weirdest sports car Subaru ever made. It looks like Matchbox will pay homage to the quirky half-windows that were claimed to “not let the rain in” while driving. If you aren’t too busy drooling over the SVX, you can swipe left to see a shot of their prototype Polaris Slingshot. The hot little 2-seater reverse trike has been giving car lovers the open road feel of a motorcycle without the risk of tipping over since 2014. It’s great to see this little guy being immortalized in diecast form, and should run down your orange tracks unlike other mini motorcycles.